The Ketogenic Athlete, through the blog and the podcast will help you understand the right way to think, eat, and tips, tricks, and tactics to optimize your ketogenic athletic performance. The advice, tips, and information you’ll get on The Ketogenic Athlete Podcast, from experts, professionals, and regular people will help you become even more awesome than you already are. Episode 70 - Interview with Danny Vega and Brian Williamson, chatting about whether or not a calorie deficit matters, the importance of protein intake for lean muscle mass, how to determine the right fat amount for you, and so much more. You may have noticed that your needs in the gym are a little different on keto. So much of this experience is rooted in trial and error, trying to figure out what works best for you. That being said, sometimes experimenting can feel a little overwhelming, and you just want to consult with the experts. Interview with Maura Vega, chatting about how keto differs for women, bringing your family on keto, keto adaption for women, boosting your metabolic rate, personality and how it affects macro tracking, and so much more. This episode cuts off a little abruptly because we had some technical issues, but it’s jam packed with information, and I’m so glad Maura was able to share so much of her experience! Episode 21 - In our twenty-first episode we talk to personal coach and family man, Danny Vega, also known as ketocounterculture on Instagram. In this podcast Danny shares his views on practicing stoicism, cutting out vegetables from his keto diet and how he interacts with his kids in a different way than most! Episode 25 - In our twenty fifth episode we talk to Maura Vega, aka @fatfueledmom, and get a lot of great insight into her body fat cut, workout style, and nontraditional parenting styles. Her and her husband, Danny Vega, "unschool" their two sons, treating them as equals in the home, and having introduced them to the keto lifestyle early on! In this episode Simon Drew has a wide ranging conversation with Danny Vega on stoicism, parenting, athletics, and much more. Danny Vega aka KetoCounterCulture joins us today to continue our deep dive into the Ketogenic Diet. Danny has been keto for over 2 years and has recently incorporated a carnivore keto diet. 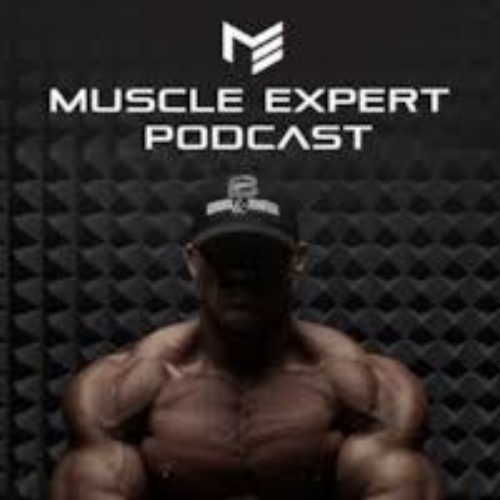 He and Ben discuss the use of exogenous ketones to increase focus and performance, the effectiveness of a ketogenic diet for everyone including pro athletes, how to minimize the keto flu, and his and Ben’s recent foray into building muscle on keto. Go check out Danny on The Ketogenic Athlete Podcast and @ketocounterculture! Knowing all about healthy diet and nutrition is one thing but how do you take all that you learn and apply it to yourself and your own family, especially when it comes to raising your children in a healthy way? This podcast talks about incorporating routines, training and a healthy diet into your family as a whole. Bio: Danny and Maura Vega are Miami natives who now reside in Tampa, Florida. Danny was the starting runningback for his high school football team and led the county in rushing yards. He went on to receive his bachelor's degree from Columbia University in 2004, where he was a member of the football team. After college, he pursued his Master's of Science at the University of Florida, where he worked with the national championship men's basketball team, women's basketball, tennis and golf. He then went on to become the Strength and Conditioning coordinator for VCU basketball, helping the Rams win the 2007 conference championship. Maura had a passion for dance since she was a young girl. She is classically trained in ballet, jazz, and contemporary. After high school she found herself struggling with her weight, and spent the next several years restricting food and even went as far as trying out a plant based diet for the sole purpose of "being skinny." A ketogenic lifestyle has not only freed her of her disordered eating, but she has also found relief from severe postpartum depression and anxiety. These days, Maura and Danny can be found spending most of their time with their two boys. They have a unique way of thinking when it comes to children, and how to raise them. They unschool both of their boys who are also now following a ketogenic diet. Both boys have found relief from allergies and autoimmune issues with a ketogenic diet. They hope to inspire and change the way we see and treat children, and also how we feed them. 3:15 – How to consume Energy Pods? 11:44 – What kind of morning routines do you follow? 19:16 – How did you transition from Paleo to Keto to Carnivorous diet? 25:50 – How did you become part of Ketovangelist? 29:32 – What books or research helped you on your journey into Keto? 42:20 – Should women be afraid of gaining muscles when they train? 45:52 – How do you as a woman reconcile with animal suffering when consuming meat? 52:40 – How do you navigate through social media? 58:27 – How do you raise children on a healthy diet? 1:17:20 – How do you know if you’re doing a good job and what kind of conversations should you have in parenting and relationships? 1:23:19 – Introducing kids to physical routines and sports? 1:30:32 – How do teach children about failure? 1:33:44 – New projects up the horizon? Today, hosts of the Ketogenic Athlete podcast and two phenomenal ketogenic athletes join us – Brain Williamson and Danny Vega. Brian’s journey into the ketogenic lifestyle started a few years ago after his son was diagnosed with Epilepsy at the age of 11. Over the course of the first few years following this diagnosis and finding that his son wasn’t responding well to the pharmaceutical medications he was prescribed, he decided to learn more about the ketogenic lifestyle after the neurologist mentioned – in passing – that some patients saw positive improvement by following the diet. As a powerlifter, Danny has always been interested in how diet and exercise impacts a person’s strength and conditioning. In 2004, he graduated with a Bachelor’s degree from Columbia University, then later earned his Master’s degree in Science and Human Performance from the University of Florida. Following college, he became the strength and conditioning coordinator for the BCU Basketball team. Today, Brian and Danny share their story on how they got started with the ketogenic diet. Brian explains how it has helped him overcome depression as well as find positive results for his son with epilepsy. Danny shares how the ketogenic diet can affect athletic performance as well as the mental health effects that are common in people following the diet. Spoiler alert: We talk about everything. Just listen to these. They're all good. What can we learn from a 2300 year old philosophy? In this episode you will hear me and Danny Vega banter back and forth about the advantages of being a Stoic in the 21st Century. Sugar is killing you and carbs are making you fat. This is the bold claim behind the ketogenic diet -- an ultra-low-carb, high-fat diet gaining popularity with those trying to lose weight, with disorders like epilepsy, and just trying to live a healthier life. Nutrition is tricky to talk about and to "do" because much of the existing information appears to conflict. "Do this to live a healthier life," might read one source, but another says, "no! If you do that, you will die!" This keeps many from starting on a path to better nutrition and healthier living. Danny Vega is the co-host of the Ketogenic Athlete podcast, a graduate of Columbia University, a football player, powerlifter, and all-around athlete. Danny explores what the ketogenic diet is, myths about fat and carbs, some facts about powerlifting, and how sugar is actually killing you. Back in 2016, Danny Vega was a carb-fueled powerlifter. He ate and trained according to conventional wisdom, but he started to notice he didn’t feel his best. After his cheat days turned into cheat weekends and his health began to suffer, he decided to ditch conventional advice and try a ketogenic diet. But he didn’t go at it alone. He and his wife Maura wanted to adopt a healthier lifestyle as a family, so they began teaching their two sons about nutrition, keto, and healthy habits. Danny’s children had always been homeschooled, so he and his wife were used to giving them a hands-on education. It was no different when it came to nutrition. They gradually worked their way from drive-thru meals and Wendy’s hamburger patties to healthy amounts of meat and low carb veggies. Getting healthier as a family is challenging, especially when eating out and buying processed snacks is much more convenient. Danny and Maura learned a lot along the way, and that’s why in today’s episode I’m sitting down with Danny to talk about their journey. Danny is a powerlifter, father, and co-host of The Ketogenic Athlete podcast. He received his Masters of Science in Human Performance from the University of Florida and he’s a former Strength and Conditioning coach. In our chat, we dive into how to teach children about food, how to get your family on board with healthy habits, how Danny trains now that he’s fat-adapted, and a lot more. As an avid fan of The Ketogenic Athlete, I first met Danny at Keto Con in Austin Texas. He was a so down to earth and the real deal. He and his wife Maura, with their 2 boys were warm and welcoming. Danny and Maura are the ultimate in the keto carnivore movement. And in this show, he talks about why he is choosing this lifestyle. A native of Miami, Florida, Danny received his bachelor’s degree in political science from Columbia University in 2004, where he was a member of the football team and a three-time Dean’s List recipient. Danny earned his Master’s of Science in Human Performance from the University of Florida, where he worked with the national championship men’s basketball team along with women’s basketball, tennis, and golf programs. He then went on to become the Strength & Conditioning coordinator for VCU basketball, helping the Rams to the 2007 conference champions and making it to the second round of the NCAA tournament. Started Keto in 2016 and it changed his life so much. Became a co-host to Bryan. Maura Vega, a Miami native, has always had a passion for health and fitness. She is a classically trained dancer turned fitness junkie. After years of suffering with eating disorders, she decided to try the ketogenic lifestyle. Not only was Maura able to take control of her nutrition, she found relief from many ailments including her postpartum depression. Maura devotes most of her time to her two boys whom she homeschools in Tampa Bay. She hopes that by sharing her story, she may help others who are interested in this way of life. Maura shares her fitness and nutrition tips and tricks via her Instagram page @fatfueledmom. The Burn it Nutrition Podcast is a show focused on health and fitness with the use of sound and stories to help illustrate the message. We want to help spark body transformations with the use of strategic methods for weight loss. This podcast will be releasing fun and interesting shows, that will be informative and motivational to help you reach your goals! The show is hosted by Fitness & Nutrition Coach Joseph Navarro, who went through his own transformation, Losing 60lbs of pure fat in 7 Months. Tune in and brace yourself for it’s time to let it Burn!! Featured guest Danny Vega goes into Cutting on Keto! We also cover the importance of tracking your workouts, the best nutrition for long endurance training, the importance of working out our core and the exercise to do so! Listen all the way through so you don’t miss any key points. 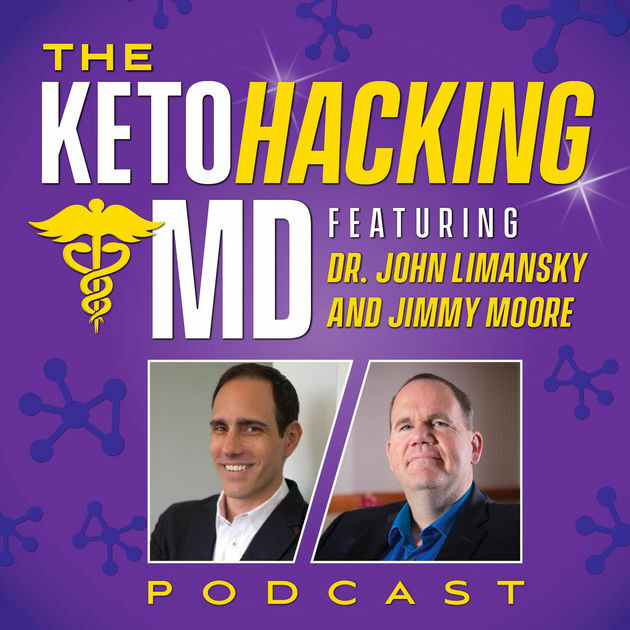 Jimmy and John continue to share the results of their High-Protein Hack and are joined this week by Danny Vega and Robert Sikes, two bodybuilders that fuel themselves the Keto way. Danny and Robert share their thoughts on how much protein is ideal for building muscle. Listen in today as two very special guests Danny Vega And Robert Sikes join Jimmy and John to talk about their experience in building muscle while eating ketogenic. As we wrap up our discussion on protein, we find out today if a 3:1 protein to fat ratio is indeed ideal for bodybuilders. 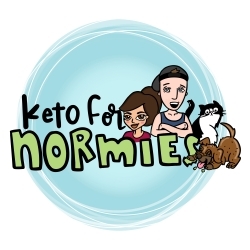 Tune in this week as Vanessa a.k.a the Ketogenic Girl, and Danny Vega - KetoCounterCulture do a deep dive on the carnivore diet! They chat about my experience this week trying carnivore or zero carb, cutting fat, adapting carnivore to keto, fat burning in keto vs carnivore, living without any cravings for carbs, how carnivore can benefit a carb sensitive person and much more! Today Brian and Carrie are joined by Maura Vega. We talk about how important it is to start kids off on the right foot with the food that you eat, even before they are born. On today’s Strong by Design episode Keto expert, Danny Vega joins Coach Chris for a 2 part episode. In this episode, you will find out Danny Vega’s extensive athletic background and how he got introduced to the Keto diet. Tune in to find out how to do keto as a family. Tune in to today’s Strong by Design episode to hear Part 2 of the Ketogenic Lifestyle. Keto expert, Danny Vega joins Coach Chris once again to discuss what his meals look like and how Keto has helped his children and many others health improve. If you are thinking about starting keto, you need to hear this episode. Danny Vega joins host Trevor Kouritzin and co-host Steve Smi on this episode! Danny Vega is the host of the Ketogenic Athlete Podcast. Danny holds a bachelor’s degree in political science from Columbia University and a master’s of science in human performance from the University of Florida. Evolutionary.org Radio - Live your life, look good doing it.